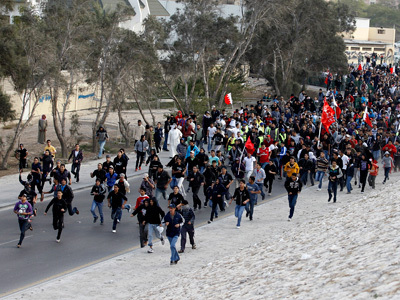 Bahraini police battled the biggest anti-government protests in weeks as tens of thousands of protesters rallied in support of Nabeel Rajab. The activist was arrested again reportedly because of posts on social networks. Police fired tear gas and stun grenades to disperse protesters. There have been no reports of injuries so far. Opposition activists called for massive rallies after the new arrest of Rajab, the president of the Bahrain Center for Human Rights, earlier this week. On May, 5 the rights activist was detained at Bahrain’s international airport on his return from Lebanon. He was charged with organizing and taking part in an unsanctioned demonstration. It came right after Rajab’s interview with Julian Assange for “The World Tomorrow” on RT. However, he was released on bail. The reason for the June 6 detention was reportedly his posts on Twitter, which allegedly insulted residents of a Sunni-dominated neighborhood for its close ties with Bahrain's ruling dynasty. Rajab has played a significant role in anti-regime demonstrations in recent months. 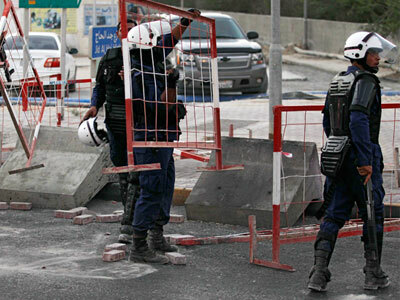 The Bahrain Center for Human Rights has been focusing on drawing attention to the crackdowns on demonstrators and abuses by Bahrain’s security forces. 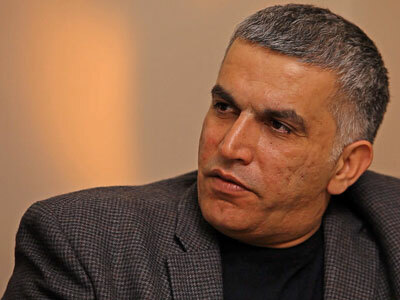 Rajab is also affiliated with international groups such as Human Rights Watch. 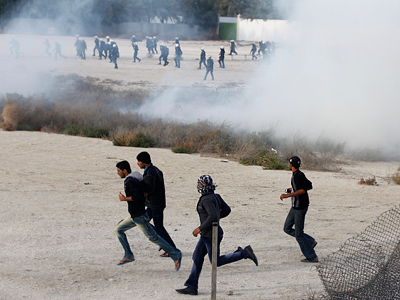 Bahrain has been facing widespread unrest since February 2011, as the Arab Spring revolutions swept across the region. The unrest was fueled by sectarian divisions – the country's ruling family are Sunni Muslims, while 70 per cent of the population are Shiites, who are now demanding greater rights and freedoms.